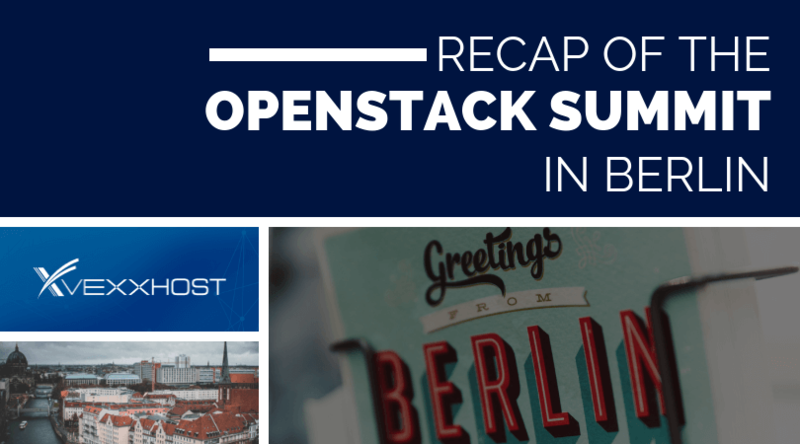 With the OpenStack Summit in Berlin having come to a close last week, we want to take the opportunity to thank everyone who attended. It’s always exciting to meet new OpenStack enthusiasts and to see so many familiar faces. The event wouldn’t be such a success without you. Therefore, it is with pleasure that we at VEXXHOST announce our sponsorship of OpenStack’s 2019 event taking place in Denver! Another important announcement from the Berlin conference is the update to our offering. VEXXHOST has officially launched new enterprise-grade GPU instances on our public, private and hybrid cloud! For more information on this update, you can check out our corresponding blog post and press release. Our CEO Mohammed Naser, also the vice chair of the Technical Committee of OpenStack, took part in the Keynotes on the first day of the conference. His update on the latest development of OpenStack can be seen in the following video. Mohammed also took part in the Keynotes on the second day with his fellow industry experts. They delivered an AI Demo, running on the newly announced VEXXHOST GPU instances. You can view the demo “OpenStack for AI: decoding and transforming the world, from Tim Bell to Barack Obama” below. On Thursday, there was a session on Multi-cloud CI/CD with OpenStack and Kubernetes. The focus was on the growing need to move workloads closer to customers. Through the use of multi-cloud, Kubernetes and OpenStack, this issue can be resolved. VEXXHOST was happy to contribute to the demo portion of the presentation with one of our clouds being used for the running of the application. On day two of the conference, Mohammed took part in the Kubernetes in the Real World panel. The topic in questions was Kubernetes and their application in production. With more businesses using container systems, there have been a few lessons learned about the incorporation, benefits, and troubleshooting of Kubernetes. The talk was quite popular, attracting such a large crowd that it was standing room only! All in all, we had an amazing time at the OpenStack Summit in Berlin and hope you did as well. This event is always such a highlight in our year and we can’t wait to see everyone again in the new year at the summit in Denver!